This is a time-limited quest-line, you're given 2 days (1 day 23 hours remaining at the start) to unlock the Beachside Escape Premium House. If you do not finish the quest on time, you still have access to the beach side lots. The house will be available in the Online Store. (A new housing development with ocean views is opening in Sim Town? With extra large property sizes?! Great! Imagine all the things you could do with all that extra room! Look for some big-house ideas in the 'House, Garden & Llamas' magazine. (Have you ever noticed how quickly some of those real estate auctioneers speak? Wow! You're Sim is going to need a bit of an energy kick if they're going to learn how to do that. (All that duck feeding (and auctioneering) has made your Sim hungry! Is that a craving for Pumpkin Pie they feel coming on? Why yes, yes it is! Bake some Pumpkin Pie. (That was delicious! Now get back to work! You need to start building the Real Estate Agency. Actually, first you should wash all of that banana-bread mess off of your Sim's hands! (Okay, your Sim is all cleaned up, so NOW you can start building the Real Estate Agency! Build it on the Town Map! 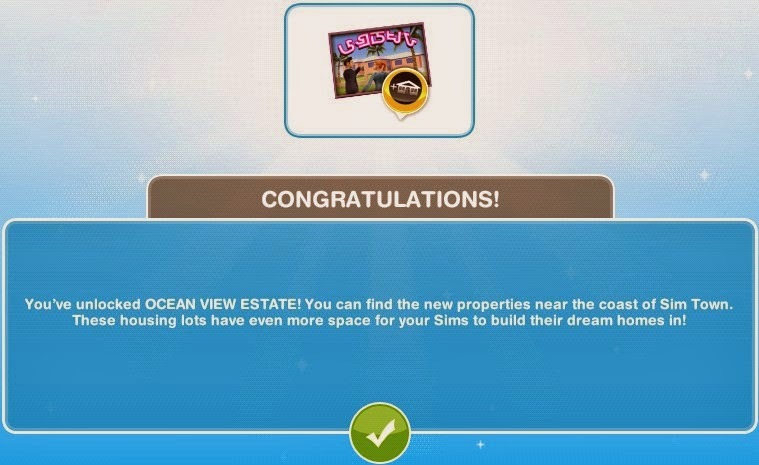 You've unlocked OCEAN VIEW ESTATE! You can find the new properties near the coast of Sim Town. These housing lots have even more space for your Sims to build their dream homes in! 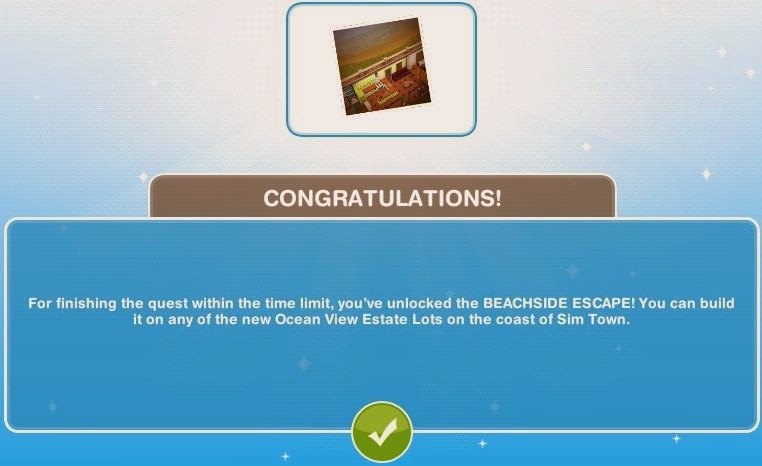 For finishing the quest within the time limit, you've unlocked the BEACHSIDE ESCAPE! 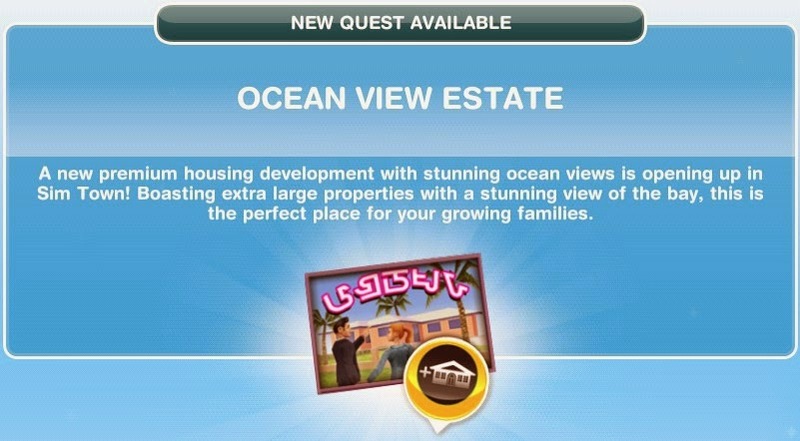 You can build it on any of the new Ocean View Estate Lots on the coast of Sim Town.